I would just like to take this post to tell you about a storefront I have set up online. Zazzle provides visitors from all over the world with design possibilities and the ability to open their own storefronts to sell anything from postcards, promotional flyers, printed ties, mugs and bumper stickers. Follow this link to my storefront to see what is currently available. So far I have only made designs for a couple poster size art prints, to a few ball caps and t-shirts. So far there are about six poster size art prints available. At their largest size, nearly thirty inches on the long edge, they start at $35 in price. Zazzle prints and ships almost immediately and frequently have deals and sales on increasing their already high value. As much as I would like to have all my images display elsewhere, available immediately on my Zazzle storefront - It is just not feasible. However, all of my photos on display anywhere most certainly can be made available at your request. If you see a particular image of mine you like, please send me a short message, either via my facebook or email, about which album or gallery it is found in, and its general subject. I would be happy to make it available online to your specifications. 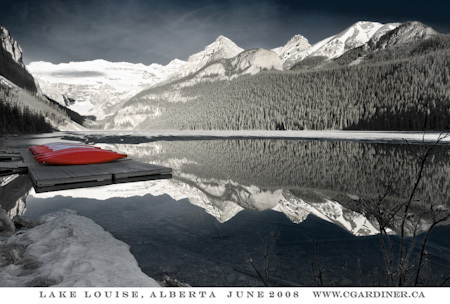 The images in this post are just a couple of those available at my storefront here; Lake Louise Poster, Herbert Lake Poster. 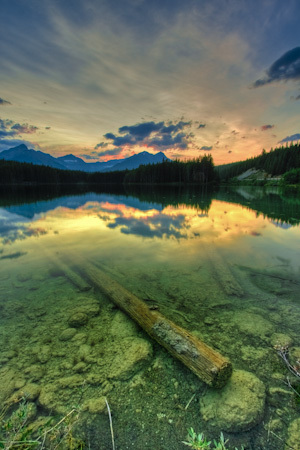 Prints are available with customizable frames, and in a variety of custom sizes. Enjoy Zazzle, and I hope you find something you like at my storefront. Remember, anything you have seen of my work can be made available, at any time!